This past year, the marketplace for social science and social policy books emphasized race, policing, criminal justice, and inequality. Books on social policy per se were in scarce supply, no doubt a reflection of the disinterest and dysfunction in reasoned policymaking in the federal government and in many state capitols. As in other aspects of American life, the book market has been dominated by Trump analyses and reactions, perhaps crowding out the market and sapping the mental energy needed for more serious social policy analysis. Of course, much of this new literature provides insight into the circumstances of many Trump voters. With the exception of Elizabeth Rosenthal’s book, An American Sickness, and Eric Patashnik’s book, Unhealthy Politics, 2017 was a relatively quiet year for big-think books on health policy and public health. Our top ten list for social policy books published in 2017 includes selections from the criminal justice world, poverty, inequality, and two of the many sociological accounts of the plight of rural and middle class populations caught in the vise of the changing economy. One image that dominates this 2017 literature is the opportunity ladder and how difficult it has become to realize the American Dream of upward generational mobility. It is also striking how so much of the recent social policy literature is blending the personal with the empirical, blending the voices of individuals – including the life stories of authors themselves – with the broader literature in social science. Finally, it is increasingly the case that methods and disciplines are blending together: economics, neuroscience, psychology, big quantitative analysis, and big qualitative analysis. So here are the winners: all accessible, provocative, influential, and well-reviewed new social policy books. In the midst of a large number of quality books on race, poverty, policing, and the criminal justice system this year, two stand out. Peter Edelman, Not a Crime to Be Poor: The Criminalization of Poverty in America. Although many books – especially post-Ferguson – have documented the pernicious effects of the criminal justice system in targeting poor and African American residents, Edelman’s account provides an uncommonly comprehensive analysis of the consequences of so many interactions of poverty, policing, the legal system, and the broader context of low-income communities. From children labeled in schools, to family evictions, to absent mental health services, to minor moving violations, to the operations of the bail system, to child support, to many other pernicious systems, the criminal justice system is selecting, targeting, and punishing low-income individuals and families, creating spirals that are impossible to exit. James Forman Jr., Locking Up Our Own: Crime and Punishment in Black America. Forman provides another account of the buildup of mass incarceration of black men in America, but adds another and controversial dimension, the involvement of many African American political leaders and officials. Especially with the support of big city mayors, Eric Holder, and the Justice Department, cities like Washington, DC, implemented tough-on-crime and drug enforcement regimes that loaded the jails and failed to deliver on a reformist agenda to deal with root causes. The book traces the complicated dynamics behind the incarceration movement – including many small and unintentional choices made in communities, myriad agencies, and courts. Forman brings his experience as a former prosecutor, as well as the voices of many caught in the system, to present this piece of the argument about the evolution of mass incarceration in America. These two complement Michelle Alexander’s The New Jim Crow, John Pfaff’s Locked In, and Elizabeth Hinton’s From the War on Poverty to the War on Crime, which provide their own analyses and arguments of the causes of the U.S. surge in incarceration since the 1960s. Carol Graham, Happiness for All? Unequal Hopes and Lives in Pursuit of the American Dream. Graham assembles a remarkable amount of empirical data and social science to connect measures of well-being (e.g., life satisfaction, hope and aspirations, stress, worry, pain, anger, etc.) to outcomes by race, poverty, and place. The effects she documents are pervasive: in health, education, language, marriage, work, and civic engagement. Importantly, blacks show consistently higher levels of optimism than whites, quantitatively higher than the differences between rich and poor Americans. The implications of this analysis are daunting since wellbeing and outcomes are a two-way street. Poverty and disadvantage beget lack of hope and despair, and lack of hope and despair produce behaviors and outcomes that reinforce poverty and ultimately block upward mobility. Keith Payne, The Broken Ladder: How Inequality Affects the Way We Think, Live, and Die. 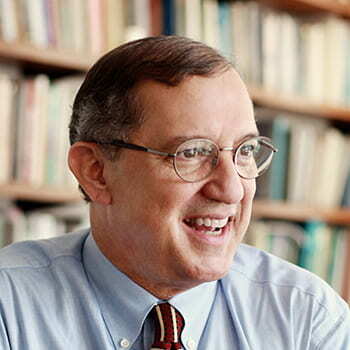 Drawing insights from psychology and neuroscience, as well as his own life history, Payne traces the ways in which one’s relative status in the hierarchy shapes perceptions and behavior towards others, health behavior, political inclinations, life satisfaction, and future orientation. Payne provides examples of the subtle and not-so-subtle ways in which perceptions of inequality can feed implicit bias and micro choices, such as implicit racial bias by police. Broken Ladder provides an important account of the behavioral and even public health consequences of our growing national inequality. Richard Reeves, Dream Hoarders: How the American Upper Middle Class Is Leaving Everyone Else in the Dust, Why That Is a Problem, and What to Do About It. The most important illustration this year of discontinuities of the ladder of upward mobility is Dream Hoarders. In Reeves’s analysis, not just the 1 percent, but roughly the top twenty percent have a kind of hegemony over the means for social and economic opportunity by virtue of the neighborhoods where they live; the networks they enjoy; and the educational, health, and housing resources they pursue. (To capture the gist of how we sort into this larger hoarding of opportunity, play the hoarding game online.) Importantly, the book tackles both public and private strategies, such as reform of our tax system, that have potential for shaking loose the hard wiring of class advantage and mobility barriers. Thomas M. Shapiro, Toxic Inequality: How America’s Wealth Gap Destroys Mobility, Deepens the Racial Divide, and Threatens Our Future. Shapiro marshals an impressive breadth of social science on the effects of race, class, income, and wealth inequality to once again dispel the argument that personal responsibility accounts for the major disparities in the U.S. The core of the book is based on interviews with 137 families (half black, half white) in 1998-99 and 2010-12 to see how they had fared, especially in the context of the recession. Overall, Shapiro illustrates the role wealth and racial inequalities are playing in impeding economic and social mobility in the U.S. The book also unpacks the many ways in which public policies – such as education, housing, health, and tax policy – systematically produce racial as well as other barriers to mobility. If you want an amazing one-two punch of the new American economy and its effects on middle-class, unionized manufacturing towns, read these books together. Amy Goldstein, Janesville: An American Story. The paradigmatic story of the trauma of disappearing middle class and manufacturing jobs is the closing of a major factory in a one-industry community. Goldstein provides a 360 degree account of the continuing consequences and responses of the Janesville community in the aftermath of the closing of GM’s oldest plant in the United States at the end of 2008. What makes this saga even richer is that Janesville is Speaker Paul Ryan’s hometown. Even the supports and advantages of being a well-connected community do not offset the force of massive economic change. Brian Alexander, Glass House: The 1% Economy and the Shattering of the All-American Town. Alexander narrates the financial and policy demise of the Anchor Hocking glass company in Lancaster, Ohio. In its day Anchor was the largest manufacturer of glassware in the world. Private equity, tax abatements, hostile takeovers, community political accommodations, opioids, and despair all add up to a devastating story of the collapse of a once successful small city. One of the most interesting subplots of this narrative is the tenacious will of so many residents to stay and not move in the face of such overwhelming economic hollowing. Ron Powers, No One Cares About Crazy People: The Chaos and Heartbreak of Mental Health in America. Part personal account (Powers has two sons with schizophrenia, one who dies), part historical account of the mental health “system,” part science, and part current policy analysis, Powers provides an important and compelling critique of the abject failure of mental health services in America. Like other books on our list this year, No One Cares illustrates the externalities of other systems – policing, criminal justice, social services, health care – that fail to pick up and care for individuals with mental illness, especially when they are in crisis. Largely out of public view, the so-called transformation of public housing to vouchers and developments of mixed-income communities is proceeding apace. Along with Robert Chaskin and Mark Joseph’s Integrating the Inner City: The Promise and Perils of Mixed-Income Public Housing, Susan Popkin’s Transforming Public Housing, tells an important cautionary tale. Susan J. Popkin, No Simple Solutions: Transforming Public Housing in Chicago. Susan Popkin has dedicated herself for more than twenty years to understanding and documenting the trajectories of individuals and families affected by the “Plan for Transformation,” Chicago’s massive project to raze gallery high-rise public housing and replace it with planned mixed-income communities. The book portrays all the complexities of the project and follows panels of residents who move to new communities. There are winners and losers, and success depends critically on the support system of services and communities where residents land. As Popkin demonstrates, these extra-housing supports – so-called wrap-around services – have been in shorter supply as political leadership changes and budgets are increasingly strained.